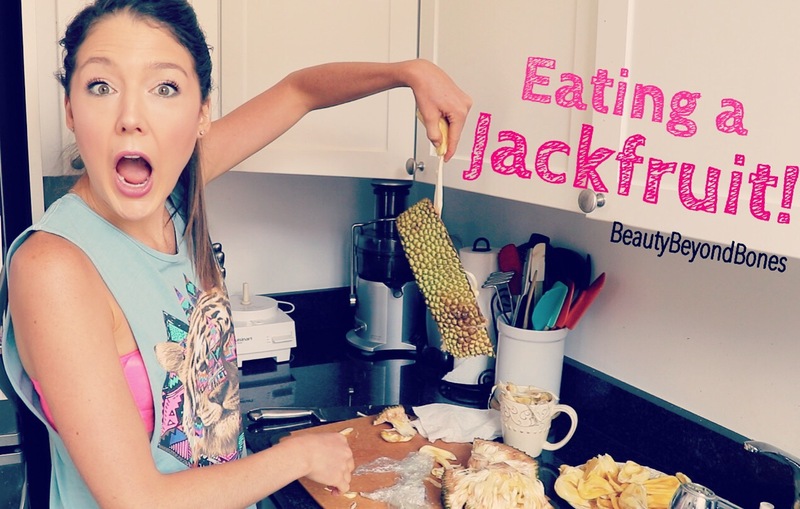 Eating a Jackfruit – Video! Secondly, I have a fun video for you today! If you are unfamiliar with Jackfruit, it’s pretty much an alien-looking, massive, tropical fruit. I got my hands on one. And an adventure ensued. Come hang out with me in my miniature Manhattan kitchen for a couple minutes, as I bust into this crazy food! Also, on Thursday, I’ve got an exciting announcement, so stay tuned for that! Hope everyone is enjoying a beautiful Labor Day, complete with good food, good people, and good weather! I’m fairly sure that was an alien not a jackfruit. Wikipedia says it’s in the ‘fig’ family, so the latex-type material makes sense. On another note, I don’t know how many times I had the ‘adventure’ face when trying new foods. We really are scared and wondering what will happen 🙂 Thanks for sharing! I LOVE figs! There are actually several trees in my neighborhood and if the tree hangs over the edge of the property they don’t care if people pick figs off of it. Luckily the house across the street from me was empty all summer and there is a fig tree in their yard right next to the street 🙂 very nice blessing!!! What a nice blessing indeed! Straight from the tree-lucky you!! This video seriously cracked me up. 😆 <- Kind of like that, but a lot louder. That is one seriously crazy fruit. I grew up with jackfruits, and let me tell you, my childish tastebuds did not like! Now that I know it’s great for you, I gotta love it! I grew up in Jamaica, so tropical fruits galore! I haven’t seen a Jackfruit in years. But I have eaten plenty as a child. It is very delicious. The meat tastes much better when sprinkled with salt. And the seeds are great when roasted. Slicing into my Labor Day watermelon wasn’t half as fun. Haha yah I think nothing compares to that facial expression she made lol! That looked like a lot of work…but worth it in the end. I will put that on my foods I need to try list. Thank you for sharing in your adventure. This is a delightful video. If I weren’t married and you weren’t young enough to be my daughter, I would propose marriage. My daughter and I saw a whole one at the store a few weeks ago and had no clue what it was!! Loved the video! Thanks for sharing! I’m going to have to try one of these now… do they sell them in regular grocery stores? I would be so afraid to eat that. That was great. Thanks so much for the laugh. I don’t know. My mom told me to never eat anything bigger than my head. And in your case: nothing larger than your kitchen counter. I was worried when you started reaching out of the camera frame. All that sticky stuff on your fingers. I was half expecting you to end up glued to the walls. Haha yeah that was definitely not out of the realm of possibilities 😂 This clip didn’t make the video but it actually was so sticky it made my fingernail polish come off!!! I was cracking up throughout the whole video 😀 I’m in the middle of an exam block, so I really could do with some extra laughs!! In the Philippines it’s called langka and it’s a great dessert option. I can usually only find it canned in the US. Were you able to buy this locally? My parents would serve this to me in a dish called ‘halo-halo’ which means ‘mix-mix’. Shaved ice, sweet condensed milk, evaporated milk, langka, coconut jelly, flan, purple yam, red beans, all these wonderful sweet things with different colors and textures mixed up in a bowl and served cold. It’s delicious. You had me smiling and laughing the whole way through! I think you need a cooking show, or at least a “What is this food?” show. Do you want to know in how many different ways jackfruits can be used as food? :D, Unripe fruit can be pickled and can prepare curries. Seeds also are very tasty when cooked with salt and are protein rich. Here’s the link with 144 recipes,..;) http://verygoodrecipes.com/jackfruit haha! Totally kewl vid!! Its neat to see people try different things. There are so many out there like Ugli Fruit, Star Fruit, many varieties of melons. I love the apples, bananas, grapes, but the many other fruits and wonderful too. For many, even my passion, The Mango, is quite different. I wish many, would try more!! Hugs, love and love your vid!! Oh my gosh happy belated birthday!! And wow your cake looked super delish! It was thanks! Yeah, there isn’t a thing on here for peoples’ bdays is there. Biggest hugs!! I’ve never seen one not cut up like the one you had in the video. They’re definitely alien looking. Never realized how much work they were to get to the good stuff! Oddest fruit I had was called a Rose Apple. It was deep red and in the shape of a heart. I expected it to be like an apple in texture, but it was more like a watermelon, and ridiculously juicy. I’ve only had a few as apparently they’re extremely delicate and don’t ship well. I’ve never seen them in the U.S. unfortunately. Yes try to boil the seeds and let me know if you like it or not. Cheers! And congrats on so many followers. What an amazing accomplishment. Sending you much love and Light, my friend … and to all of those who you touch with your blog. Congrats on 16,000 subscribers! All I could think was “wow, that’s about 9000 more people than my town’s population!” So you’ve got quite the little/BIG community going. 🙂 And that jack fruit looks awesome. It’s as much fun as peeling a pomegranate, from what I could tell. You are very brave to try new things!! From the first photo (showing it broke in pieces) at top it looks like pieces of broad linguine attached to the underside of Alligator skins, and grasping pieces of Spam. Fine little show, thanks for it. By the way, we have Jack Rabbits down here, maybe no Jack Fruit. I’ve never heard of it but I love trying new things like that! Hmmm wonder where I could get one around here? Thank you for sharing! I just want to you inspire me. But you never told us WHY you opted to try a jackfruit?? I’m sorry for my grammar. I’m a fan girl all day:) ty :)!! So cute and hilarious. I have seen those before and was curious about them, so thanks for the video! Haha it was definitely an ordeal, I’ll say that!! I love jackfruit 🙂 I grew up eating this delicious fruit. It is best to eat it when it is really ripe. You can also boil the meat ( the yellow part) with white sugar & a little bit of water. Boil it for few minutes. You can use it as toppings on your vanilla ice cream. Yummmmy! Now look. as you ate the pulpy part of the ripe jackfruit you might have found giant hard seeds inside. Don’t throw them. wash them and then put them in under sun for a full day. Now with sharp edged knife or any other cutting kitchen equipment you may slice down the seeds either into thin longitudinal section or as round slices. then with some mustard oil or any other oil you may fry the same pieces with a little common salt and there your snack is ready for your evening tea. one more thing that this jack fruit when unripe can be cooked as a delicious spicy vegetable specially if you may find the baby jackfruits as the grown fibrous parts are lesser in that. all you have to do is cut down small pieces then boil it for a few minutes before adding oil and spices to it with a little extra water to make a curry like consistency or appearance what ever you say. the more the spice and green chillies more it tastes. Interesting!!! I’ll have to try that! Thanks! actually here in India you may find not hundreds but at – least 10 different ways to eat a jack fruit both ripe and unripe. Holy camoley. That is incredible! Also don’t throw the seeds after eating the ripe pulpy part. wash them place them under sun for a whole day. Peel the skin off the seeds. Find a knife which can cut hard food items like this seed. Add some mustard oil or any other oil and then add the cut seeds into it fry it for some time, add a little salt to it. and keep cooking occasionally pciking up pieces to check by chewing if they are fried perfectly or not. some pieces may seem burnt but they are just over heated and may still taste good. your evening tea time snack is ready. Haaa haaa. Sure. And what a designation. So, of course I had to go look up jackfruit after watching your video, because I’m a total nerd like that 🤓. Did you know that they can grow up to 4 feet long! I loved your video, though! It looks like you have so much fun in your little kitchen! Thanks for sharing your culinary adventures! Trying new foods is always challenging for me, and being able to laugh about it makes it easier. I’ll be thinking of this video the next time I’m in my kitchen tackling something “new,” like mango lol. Thanks for the encouragement! 😊❤️ Hugs! May I just tell you I really enjoy your post❤️ haha especially this one! I love unusual , not an everyday experiences! Hey! Okay this video is everything! I’m really intrigued to try a jackfruit now! 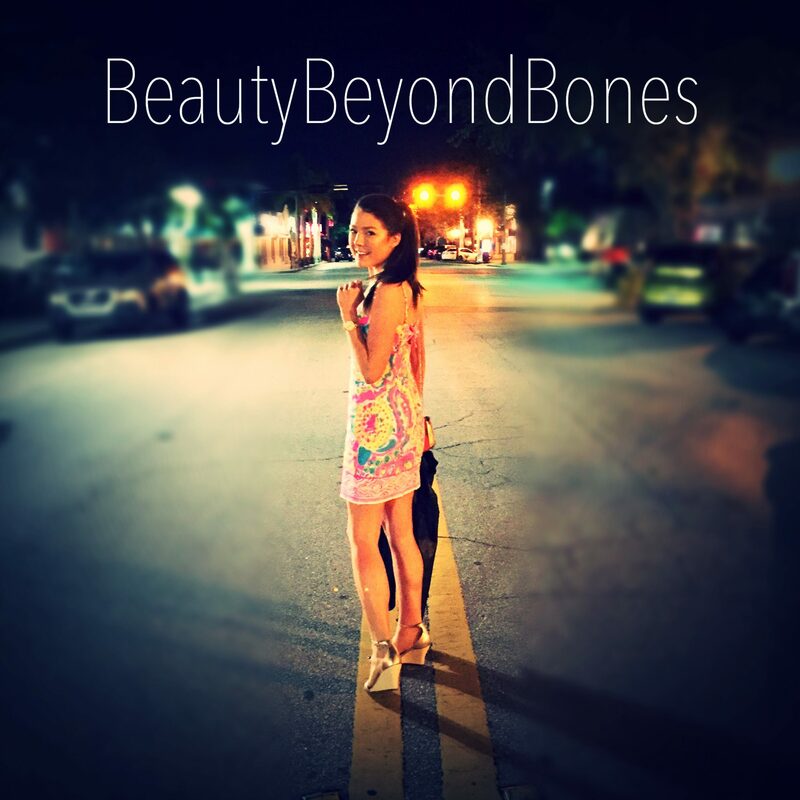 Thanks for stopping by my blog – I loving yours! Raw beauty and honesty! OH. MY. GOSH. 😛😱😛😱😛😱😛😱 YUM!!!! that sounds outrageously delicious. *hugs! * keep up your amazing writing. So captivating and meaningful. The Fresh Baked crew out here in Cali bravely sampled the Jackfruit Nachos at Disneyland. I have a jackfruit tree in my backyard …it is not easy to eat hahhahhahaaa.